Today, we present you a new solution that brings ecommerce merchants flexible tools for customizing PDF documents – Xtento PDF Customizer for Magento 2. The module allows creating custom invoices, credit memos, order, shipment, and other PDF customers that drastically improve customer experience and better present your brand. 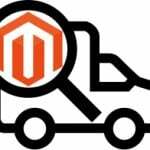 Possibilities provided by the Magento custom PDF extension let store owners change the design and layout of their PDFs, as well as create content according to their business needs. Below, we describe the key features of Xtento PDF Customizer for Magento 2 in more detail. 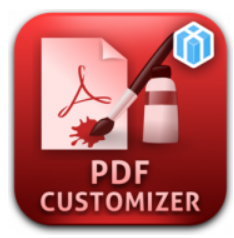 The PDF Customizer module offers various ready-to-use PDF templates that can be loaded in one click. You decide whether to use a pre-configured template as it is or create a custom one. With the tools provided by the extension, it is easy to modify and customize out-of-the-box templates according to the specific needs. 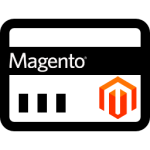 The Magento 2 module doesn’t require any technical skills to leverage all opportunities. Thus, it is possible to generate customized documents without knowledge of HTML or CSS. PDF Customizer for Magento 2 supports various document types, including invoices, orders, credit memos, and packing slips. Besides, it is possible to create eye-catching PDF catalogs with the products exported from your website. Also, you can add attachments like Terms & Conditions to your PDF documents. When configuring the extension’s settings, Magento admins have an option to enable auto-attach of PDF docs to emails sent to customers. Besides, the Magento 2 PDF Customizer module lets users print a few PDF files in bulk from the backend. Other flexible settings provided by Magento 2 PDF Customizer allow changing layout and design of your documents. Thus, you can easily modify page margins, orientation, and format. The Magento 2 extension also lets you create different titles for each PDF document. It is necessary to mention that you can insert variables from hundreds of available options into a PDF’s title and content. 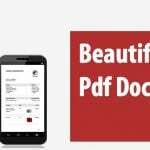 Possibility to add dynamic content using variables, as well as leverage barcodes gives even more flexibility to the Xtento’s PDF customizer users. Furthermore, you decide whether to include header and footer in your PDF pages, as well as how the body text of a document will look. It is also possible to add your brand logo and product images to the PDF files. 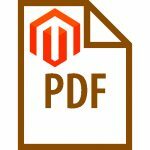 Another useful feature provided by The Magento 2 custom PDF module is the ability to preview generated PDF template so that you can check how your changes look. Note that Xtento PDF Customizer supports multiple store views, allowing store owners to set different templates per each store or country where they run the business. Xtento PDF Customizer for Magento 2 is a highly flexible solution that brings various custom options for generating PDF documents depending on the goals of your ecommerce business. With the module, you can add multiple custom elements and change the look and feel of your invoices, packing slips, product catalog, and other PDF files.